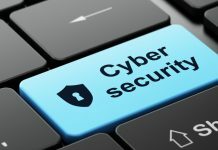 The U.S. Small Business Administration (SBA) has added a new Web page dedicated to promoting cybersecurity to its plethora of tools for small businesses. This is in response to the several recent high-profile data breaches, and also in honor of October’s designation as the National Cybersecurity Awareness Month by President Barack Obama. SBA’s cybersecurity page offers tools and advice for small business owners concerned about protecting both the customers’ data and theirs. In addition to the cybersecurity page, SBA also created an online course to help educate small business owners on the dangers of cyberattacks, and how to properly defend against them.